Kindness means helping and doing nice things for others. 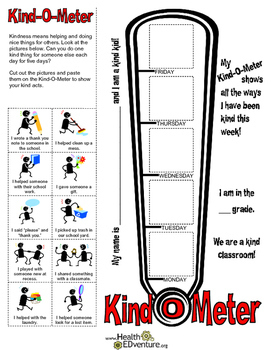 This activity teaches students the importance of and ideas for doing kind acts for others. Students are challenge to do one kind thing a day for 5 days. They cut out the pictures and paste them on the Kind-O-Meter to show their kind acts.